This year has definitely been a good year for my zucchini. I have steadily been harvesting at least one a day. I refuse to let any go to waste so I have cooking, baking and freezing a whole of zucchini-centric dishes. I've seen lots of folks passing around recipes pairing zucchini with chocolate. Now that is something I hadn't tried yet. So, I decided to modify my zucchini bread recipe by adding in some cocoa powder and messing around with a few other things. The result: Not bad, not bad at all. The bread came out moist and chocolaty. The zucchini taste was subtle. Renato gave it a thumbs up so I figured it was worthy to share with all of you. Preheat oven to 350 degrees Fahrenheit. Lightly grease two loaf pans. In a large bowl beat the eggs. Beat in the sugar and coconut oil. Add the cocoa, vanilla, zucchini and stir well. In another large bowl sift the flour, baking soda, baking powder, salt, cinnamon, nutmeg, and cloves. Pour the batter equally into the two loaf pans. Bake in the oven for 50-60 minutes. Rotating the pans halfway through the cooking time. Remove the pans from the oven and let cool. Eat now or save for later. Once fully cooled you can freeze the loaves. Wrap each one in aluminum foil and place inside a plastic freezer bag with as much of the air pressed out as possible. So, what are you making with your abundance of zucchini this year? oh, yum. we have about 43923432 zucchini i need to do something with, too! I hear you. I'm trying to get creative in how to use them all. I just tried a flourless zucchini brownie recipe. It needs a few tweaks but it was surprisingly good. Yum! 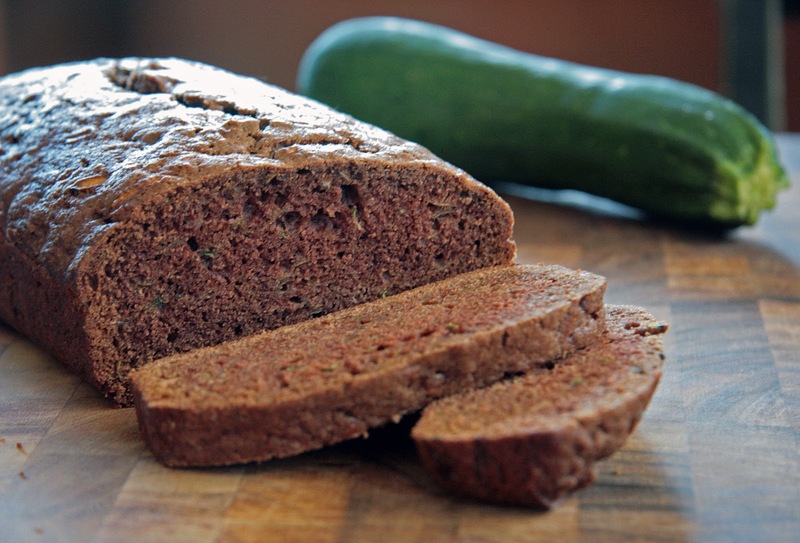 I do not like zucchini (over did it as a child), but I love zucchini bread. I'll have to give this a try! This recipe is especially good at "disguising" the zucchini. My theory was that I'd use those spices in something like pumpkin bread so they would theoretical work with summer squashes too. My wife is from Maine and her family has a pretty good Zucchini bread recipe, but I bet the cocoa would make it taste even better! Glad you're going to give it a try. This sounds great...can't wait to try it! Zucchini is one of those plants that seems to always give way more veggies then I'd planned for - I hadn't tried it with chocolate, but it sounds like a great idea!